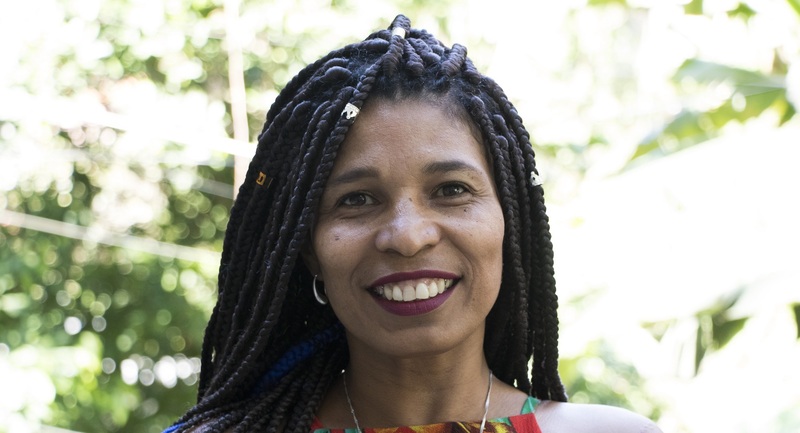 In this profile, Lita Ribeiro—a resident of the Guararapes favela, mother of two, and affirmative action beneficiary at the School of Social Work at the State University of Rio de Janeiro (UERJ)—describes the path that she took towards fulfilling her dream of getting into college. Check out the profiles of other affirmative action beneficiaries published on RioOnWatch here. For many years, Lita Ribeiro lived the life that others expected of her. Only when her children became adults did she decide to pursue her dream, despite several obstacles. 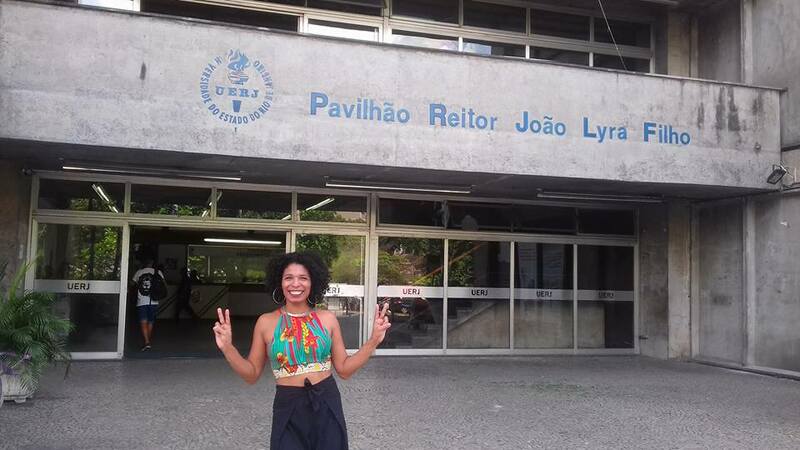 In her Facebook photos, she appears with a natural hairstyle and captivating smile in front of the State University of Rio de Janeiro (UERJ), where she is now a student. Lita exudes strength and self-confidence. But things have not always been this way—she tells us about the obstacles that she has faced and how her friends distanced themselves from her when she finally got into college. When Lita was just fourteen years old, her family decided to leave Rio and return to the state of Bahia, in Brazil’s Northeast. Lita, however, stayed behind in Rio and started working as a nanny for a family in Cosme Velho, in Rio’s South Zone. The family for whom Lita worked helped her financially so that she could attend a private school. As she advanced in her studies, Lita left her job as a nanny and went to work an office job at a company owned by the same family. Later, her bosses recommended Lita for a position at Globo Ecologia, an environmental education television program. Lita remained at this family’s house until she became pregnant and got married at the age of 26. She went to live with her husband (from whom she is now separated) in the Guararapes favela in Cosme Velho. She had a second child with her then-husband and remained employed at Globo Ecologia. But this career was not what she truly wanted: “I had always dreamed of doing social work. I even tried applying to a private college. But I didn’t have the money and thought that UERJ (a top public university) was a dream that was out of reach,” she says. In 2012, Globo Ecologia went off the air and Lita lost her job. In the months that followed, she felt lost: “I wanted to dream again,” she says. 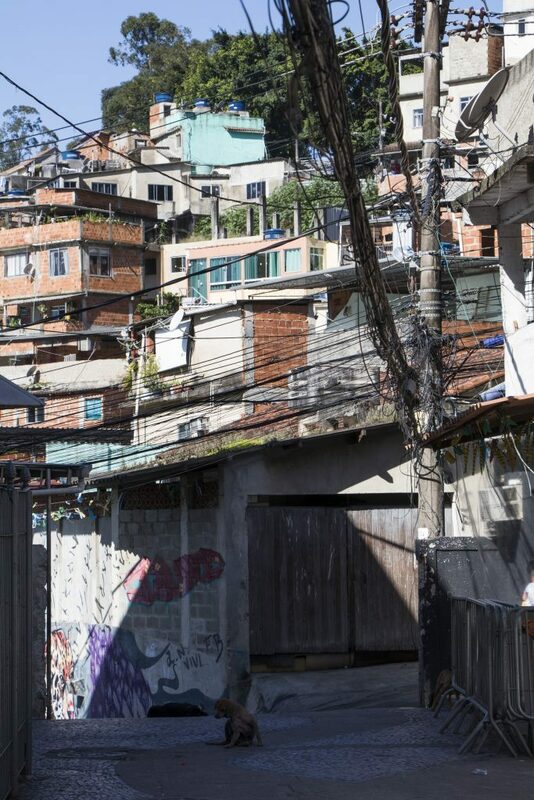 With her two children now grown, she saw that it was her chance to follow her dreams and entered the Cerro Corá Community Pré-Vestibular (college entrance examination preparatory course) in the favela of Cerro Corá, also located in Cosme Velho. During this period of preparing for the ENEM standardized college entrance exam and for the UERJ admissions exam, some people in her life did not accept her decision to go back to school, so the study group became a refuge for her: “I would leave home crying, but when I got there, I would forget what I was going through—this was where I could play. 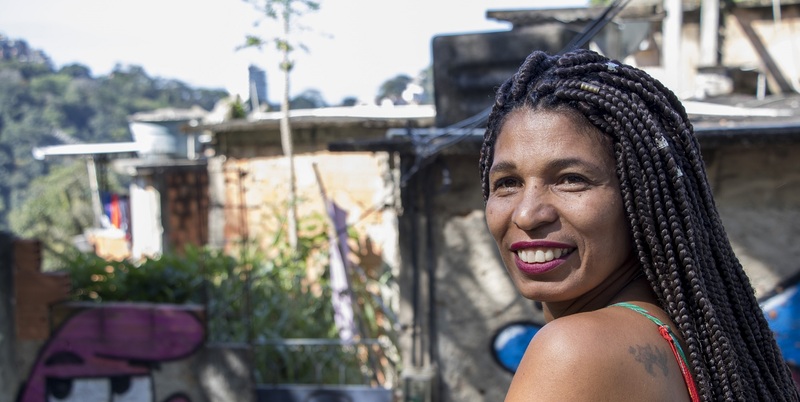 I wasn’t going there with the intention of passing.” Talking with people from the Cerro Corá residents’ collective, she also learned about political and social issues such as feminism. Despite her new positive experiences and the empowerment that she experienced through the study group, Lita was concerned about the costs of registering for the exams and devoting herself to her studies. In light of this situation, her children gave her strength. Her son Bruno, who is twenty years old and a soldier in the army, helped pay for the registration costs so that his mother could take the UERJ and ENEM entrance exams. Today she recalls: “When I was about to give up, I would imagine my son doing his army training, with his fists closed on the ground for forty minutes. I thought, ‘For my son, I think I can try a little harder. '” After trying for three years, Lita finally managed to gain admission to UERJ in 2017. She was not the only one who was happy. “My daughter started crying,” she says. On the other hand, she explains that being at the university has opened many doors for her. “I gave my resumé to a guy at a place where I wanted to work. He just saw UERJ and on the spot, he gave me the job.” Nowadays, Lita works at a preschool before attending her evening classes. In addition, as an affirmative action beneficiary, she receives a stipend of R$500 (US$125) per month and a transit card. For Lita, the university became her second home: “At UERJ, I also see that there are many people who help us. They’re black people—people that I identify with, people in the community who are like me.” From time to time, she participates in the activities of UERJ’s Coletivo Denegrir, a group that discusses the struggle for black freedom. Lita also spends a lot of time at the university library, where students study together. As for the future, she is thinking of pursuing master’s and doctoral degrees and hopes to work with children in schools. Finally, Lita is dreaming again. Check out the profiles of other affirmative action beneficiaries published on RioOnWatch here. This article was written by Mareen Butter, and published on February 5, 2019.